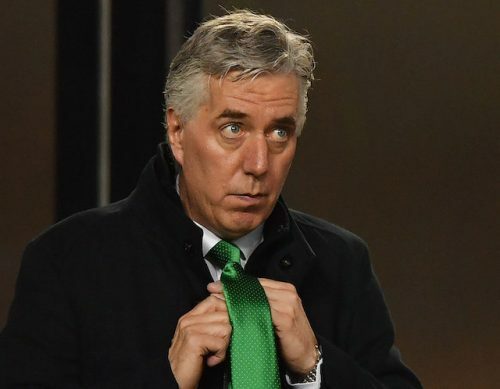 One thing we can be certain of as the FAI delegation go before an Oireachtas Committee in the Dail this Wednesday (10 April) is that we will be witnessing the beginning rather than the end of what has been going on inside the organisation this past 15 years. That was the time of the Genesis Report which was prompted by what happened in Saipan, being undetaken on the FAI. Among other things, its findings called for various practices to be introduced to improve governance, including limits on the length of time individuals could serve on its board. Needless to say, the one thing we have been finding out since it was revealed that John Delaney loaned €100,000 to his employers in Arpil 2017 before having it repaid two months later, is that the much heralded report was honoured more in the breach than the observance. 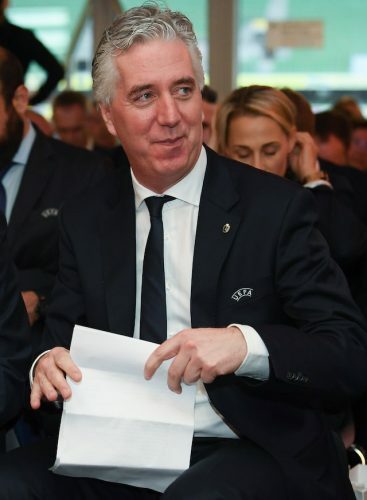 Delaney said at the time of his switch in role from CEO to Executive Vice President some weeks ago that he would go in front of the Committee for Transport, Tourism and Sport, but that surety of attendance was undermined at the weekend when a spokesman for the FAI said the make-up of its delegation was yet to be decided. The truth is he will probably be damned if he does and damned if he doesn’t. Never a popular figure with the media, the Waterford man nevertheless had a Haughey-like hold on the grassroots, where he concentrated on to maintain his power in the FAI. In his decade and a half at the top, he has gone before similar committees in the past but this time around it will be different. Previously, he was seen as the man who came in to clean up the mess in the FAI after decades of mismanagment; now he is cast as the person at the helm when these old bad habits were allowed to prosper under his tutelage. Certainly the decision over the past number of years to hold large sections of the association’s AGM off-limits to the media has raised hackles. As has the recent revelation that there was no audited record of the €100,000 having been loaned or paid back in the accounts for 2017. It is highly irregular for an organisation drawing down public money through Sports Ireland to do business in such a way, leading to a situation last week when its CEO John Treacy admitted he could not answer ‘yes’ when asked if he had confidence in the FAI board. If Delaney shows up at Leinster House (FAI President Donal Conway’s statement on 8 April suggests he will), he will need to play the game of his life to answer questions that so far have not been forthcoming. Sport Ireland said it was not happy with the extent, or the manner in which, the FAI had tried to deliver a letter by hand on the morning the controlling organisation was itself due in front of the same Dail Committee. 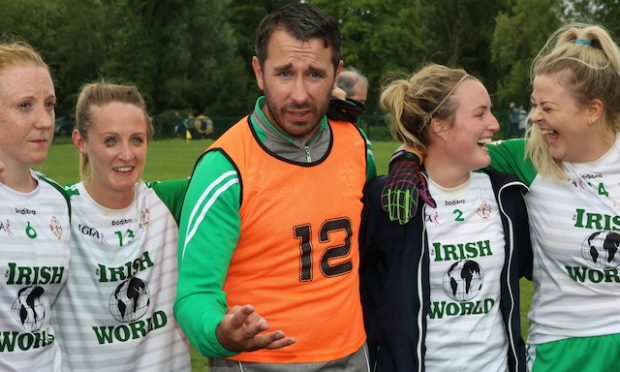 If the FAI fails to give satisfactory answers, and with TDs like Noel Rock, Ruth Coppinger and Catherine Murphy unlikely to be pushed off the ball as easily as their predecessors, then the outcome could be a very uneasy ride for the FAI group. More pertinently, it will probably lead to calls for further investigation into how the association gets, and spends, its money. As I’ve said more than once really, this isn’t going to go away. Two competitions, two cups. 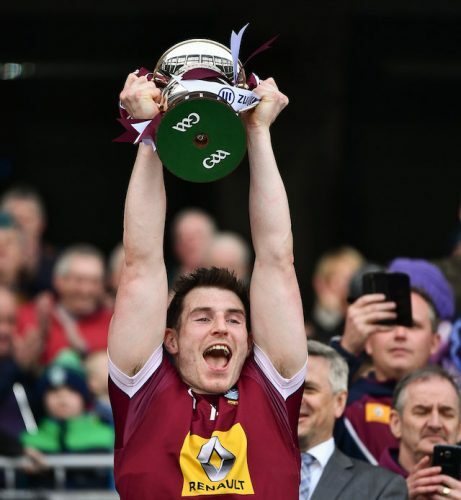 You don’t normally associate Westmeath footballers as serial silverware winners, but 2019 under new manager Jack Cooney, they have become just that. After a successful O’Byrne Cup campaign where they beat Dublin – albeit an understrength Dubs side – in the final in January, they followed up on Saturday with a desrved Division 3 final win against Laois. A great evening for Westmeath was complete as it came on top of Ryanair chief Michael O’Leary’s Tiger Roll storming to victory at Aintree to complete back-to-back wins, not achieved since those of the great Red Rum back in the seventies. Croke Park might not have had the universal appeal of Grand National day in Liverpool, but tell that to those whose one and only real sporting pride is in seeing their county win on big occasions. 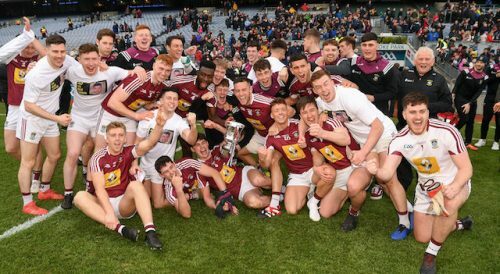 A league final in Croke Park qualifies as one of those, but more importantly it will see Westmeath test their mettle in Division 2 next year. In fact, both Laois and the winners have regrouped under new managers after suffering spells in the bottom basement department of Division 4. They now have rejuvenated squads and look to have real prospects of progressing in both league and championship. Interestingly they play with different tactical approaches with Westmeath’s aim being to lock down their defence and then play on the counter, while Laois like to mix the running game with long balls into their giant full-forward line. 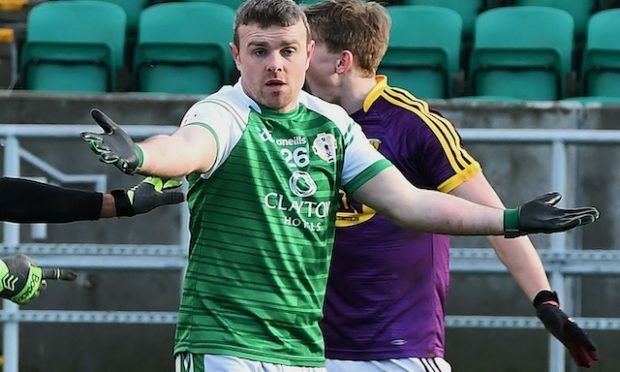 The game turned in the second half on a mistake by Laois goalkeeper Graham Brody, who has taken the recasting of the No 1 role further than any other in his position. After making a run to help his defenders, the custodian was fouled and it was what he did then that caused his defence to unravel. Instead of slowing down and allowing his outfield colleagues to take it from there, Brody’s attempt at a quick free went agonisingly a shade too long and was intercepted. A series of quick hand passes saw the ball transferred to Ger Egan who blasted the ball home, as Brody was marked absent without leave. Laois manager John Sugrue will take a lot from this campaign but will know that kicking 16 wides is no way to go about winning any match. 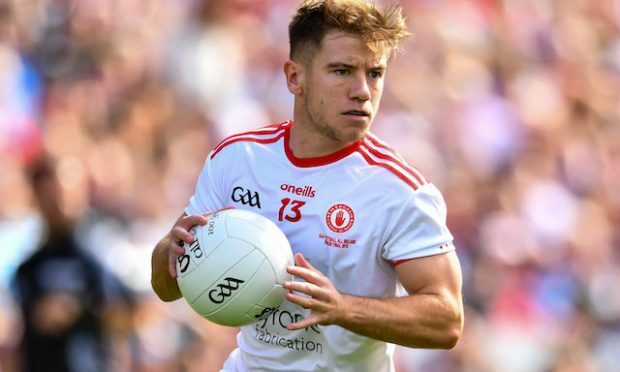 He can work on getting some key forwards fitter and developing a style for top of the ground play, which gets the ball in quicker to their big men – the Kingston brothers Donie and Paul and Evan O’Carroll. Westmeath too will be able to take some learning messages from this encounter, especially their slow start to proceedings. It took them 17 minutes to register their first score – a point by Egan who ended the day with 1-7 to his personally tally. So as the political used to say – a lot done, but more to do for both sets of teams. 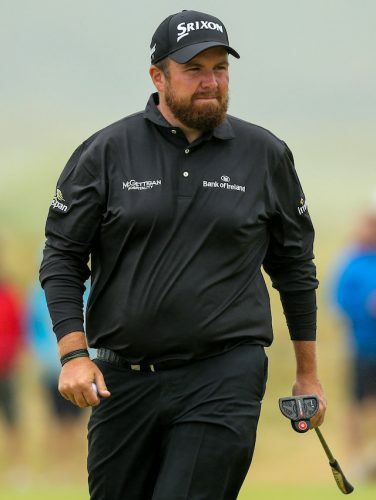 Unlike many who think Rory McIlroy will fulfil his destiny and win the Masters next Sunday evening, my hope is that my fellow townsman, Shane Lowry, causes a sensation down Magnolia Lane. Good luck to him, and yes, I do think he has a Major in him.